Choose between Accordion and Jump List menu formats for phones and narrow devices. 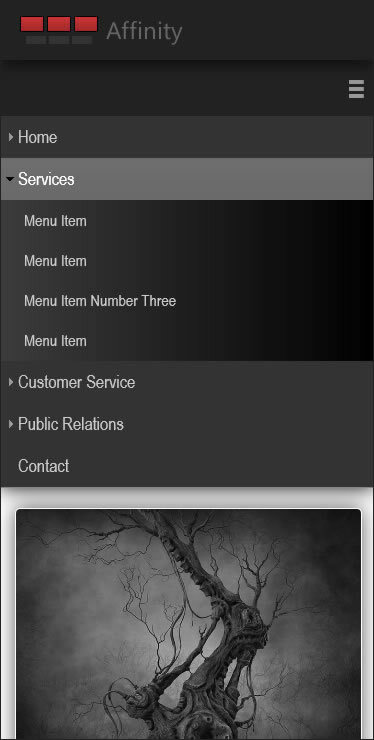 Use this option if your page is not a responsive design. If you need a responsive template, please see PVII CSS Templates. 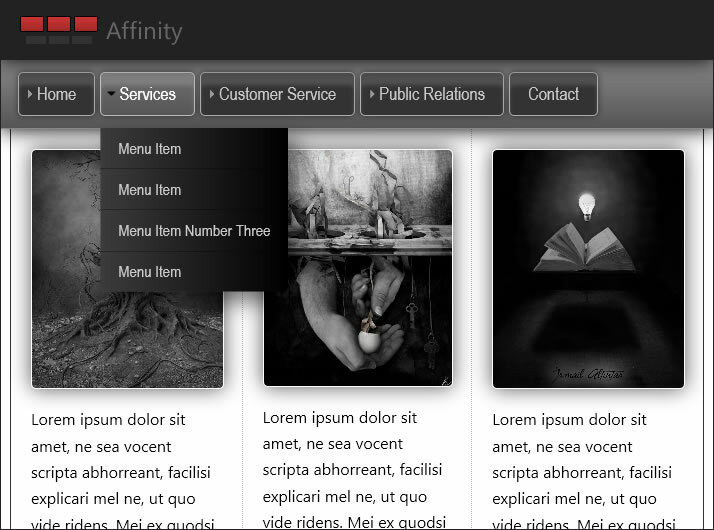 Your menu will appear in all devices the same way—as either a horizontal drop-down and flyout menu, or a vertical flyout menu. 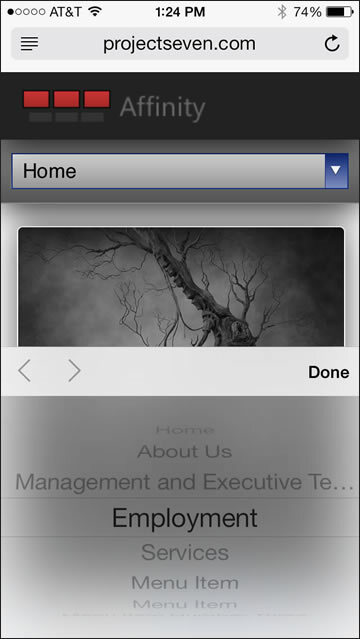 Select this option if you would like your menu to convert to a Vertical Accordion on phones, small tablets (in portrait view), and in browser windows under 700 pixels wide. Select this option if you would like your menu to convert to a Jump List (aka: Select List) on phones, small tablets (in portrait view), and in browser windows under 700 pixels wide. The following screen capture depicts a Jump List on an iPhone. Android devices will display the menu items left aligned and with hierarchical indents.